BUK / BUM series | Products | Kuroda Precision Industries Ltd.
To download data, CADENAS WEB2CAD,Inc. website require registration. Available in two types: square and round, can be selected depending on the mounting pattern. 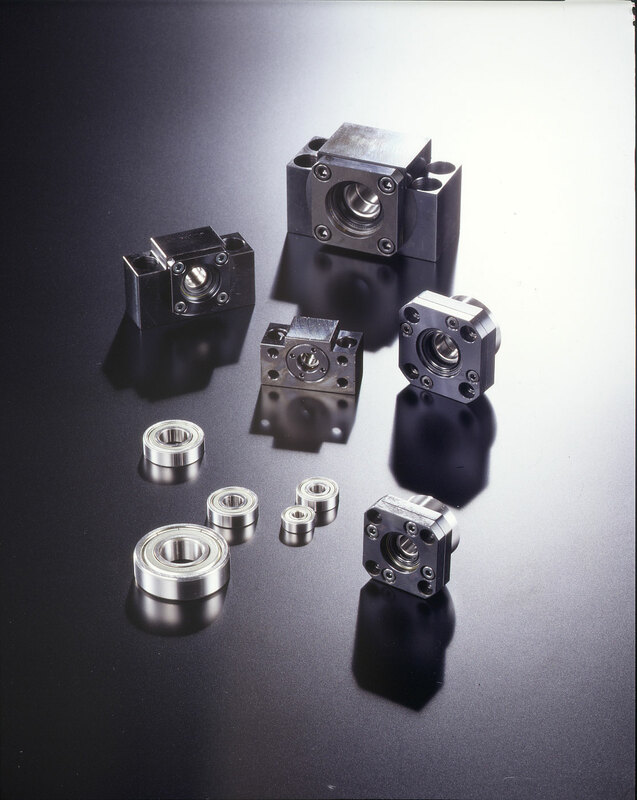 Support units can be used with ball screws of diameter φ6, 8, 10, 12, 15, 16, 20, 25, 28, and 32. Designed compact considering the space around the mounting area, the support unit can be mounted without any preparation since the combined angular contact ball bearing inside the unit is already appropriately preloaded. Mounting can be performed easily and accurately by using the special lock nut for bearing with built-in looseness preventive function. High precision is achieved in a stable way by using DF type angular contact ball bearing with accuracy grade P5 and contact angle of 30º, in addition to enclosing an appropriate amount of grease inside the bearing. Both ends of the bearing are sealed.